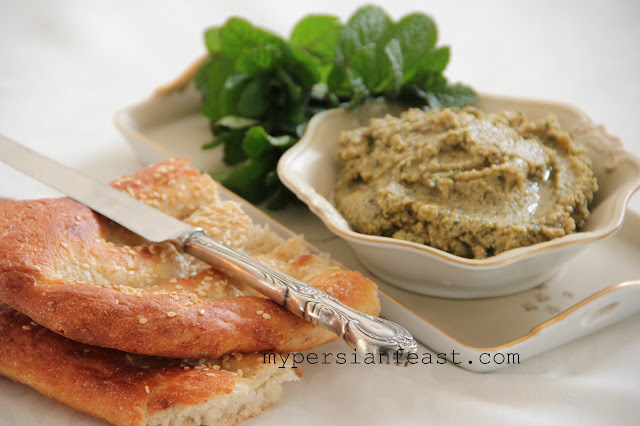 This is a modern take on the very traditional side dish from Gilan Province, where there are plenty of olive groves. Zeytoon (زیتون, olive) and anar (انار, pomegranate) are the main ingredients for this flavoursome side dish. The original recipe includes ground dried sour pomegranate seeds and paste, lemon juice and Persian Hogwood. It goes perfectly well with any type of meat and most herbs. For simplicity, we have re-created it in tapenade style. 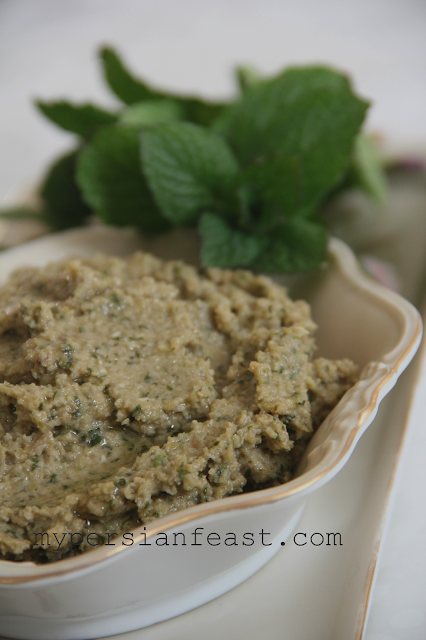 It can be served as a snack accompanied with feta cheese and crusty bread. Process in a food processor bowl and make it as chunky or smooth as you like. Serve it cold with crusty bread. وووییییییییییییی چه خوشمزه مخصوصا با اون نون بربری کنارش . دستت درد نکنه عزیزم . I've been craving this lately. Its a delicious appetizer and is particularly good with marinated feta cheese. I will put the marinated feta cheese recipe on my Facebook page soon. Hope you give it a try. I'll try to make this soon! It looks tasty!